The mechanism described below allows you to design the application main window layout with CUBA Generic UI technology by creating an XML-descriptor and Java controller, and using UI components and data sources. The main window is defined by a specific screen with mainWindow identifier. Its controller should be derived from the AbstractMainWindow class. AppMenu – main application menu. FoldersPane – application and search folders panel. 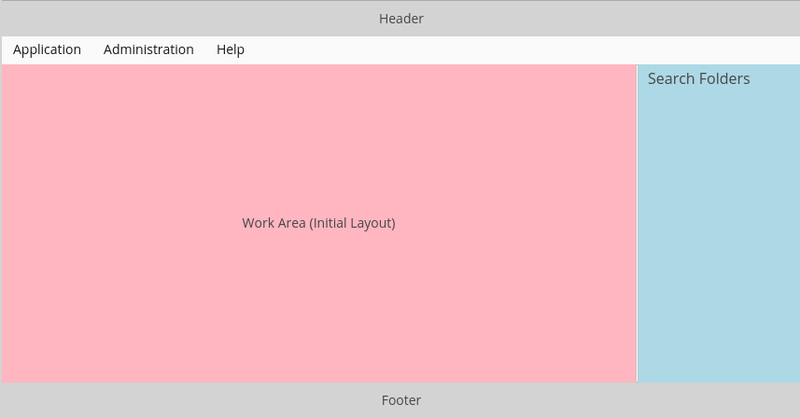 AppWorkArea – work area, the required component for opening screens in the THIS_TAB, NEW_TAB and NEW_WINDOW modes. UserIndicator – the field which displays the name of the current user, as well as enables selecting substituted users, if any. NewWindowButton – the button which opens a new main window in a separate browser tab. LogoutButton – the application logout button. TimeZoneIndicator – the label displaying the current user’s time zone. FtsField – the full text search field. The initial screen layout (initialLayout) is removed from AppWorkArea when the first application screen is opened, and added back when all screens are closed. You can add AppWorkArea.StateChangeListener to handle changing the work area between the initial layout and application screens. Such listener can, for example, refresh the initial layout data. The platform provides 2 standard main window implementations. XML descriptor of the default main window with horizontal menu on top is available in /com/haulmont/cuba/web/app/mainwindow/mainwindow.xml, its corresponding controller class is AppMainWindow. Another available template contains the vertical side menu. This screen should be registered in web-screens.xml file with the mainWindow identifier. The easiest way to extend the main screen is provided by CUBA Studio: select Generic UI in the project tree and click New > Screen in the context menu. 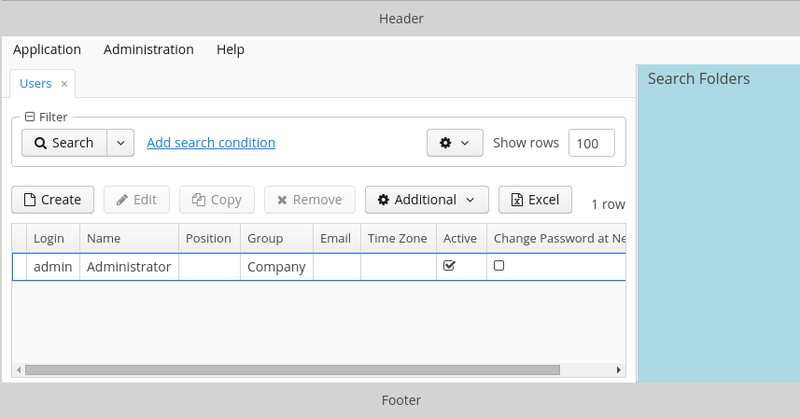 Then select the template for the new main screen on the Legacy Screen Templates tab. The new ext-mainwindow.xml file will be created in the Web module and automatically registered in web-screens.xml. The cuba.web.showBreadCrumbs application property allows you to hide the navigation panel (breadcrumbs) above the opened screen.